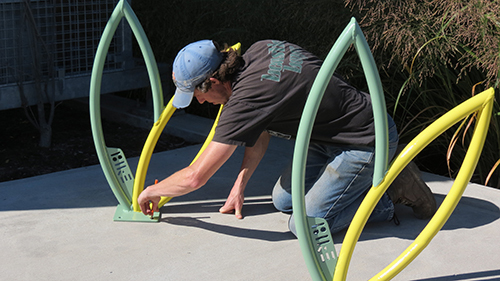 We are excited to announce that the Philanthropy Center is the proud owner of two new bike racks, custom designed for us by the Rack Pack of 40 Below’s Public Arts Task Force. The racks were designed by artists Brendan Rose and Michael Giannattasio to reflect our Smart Giving leaves, and were fabricated by the design collective Echo. We hope that visitors to our building utilize these racks as they explore healthy and sustainable transportation options within the City of Syracuse. The mission of the 40 Below Public Arts Task Force (PATF) is to cultivate a culture of public art in Syracuse. 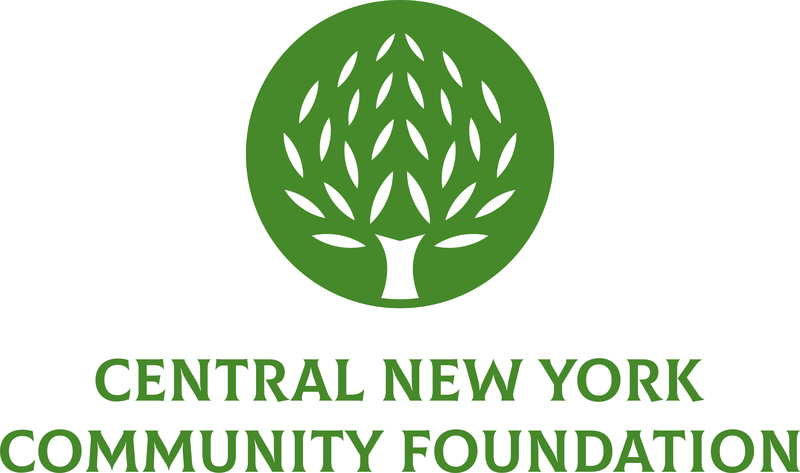 The PATF provides a medium for community members, artists and art enthusiasts to create public projects, beautify Syracuse and promote vibrant, desirable communities and partners with artists and organizations to provide the tools and resources needed to bring creative projects and events to life.